Posted on Monday, February 18th, 2008 at 4:44 am. What does it mean to be a Taiwanese American? How strong of a tie should we feel towards our parent culture? How much of our life should we devote to exploring and promoting our heritage? These are questions that we all think about and come up with our own answers for. But, however much, or little, we choose to identify with our Taiwanese background, it is after all our heritage, our DNA even, and therefore will always be a part of us. (a) just a cuisine you politely sample at holidays? (b) a really hard, eight-toned language that you haven’t yet found the courage to tackle? (c) your new Pacific island destination that is much, MUCH(! ), further away than Hawaii, and minus a good surfer scene? (d) a decades-long political passion, that now finds you roaming the halls of Congress, drumming up American support for Taiwan’s international recognition? The answer (d) is the unlikely story of two Dutchmen, who lobby on Capitol Hill for Taiwan issues, as a full-time concern. And this March, Gerrit van der Wees and Coen Blaauw will take their singular stories back to Taiwan, stumping at various college campuses across the island. They hope that by doing so, they can encourage political participation by Taiwan’s younger generation, particularly in light of the upcoming presidential elections. As men who have married into the Taiwan family, and who serve daily as voices for Taiwan in the high-power corridors of Washington, DC, they are figuratively and literally two of our leading Taiwan Sons-in-Law. They have recently spent some time for a TaiwaneseAmerican.org interview, in which we get to find out more about these unique gentlemen. 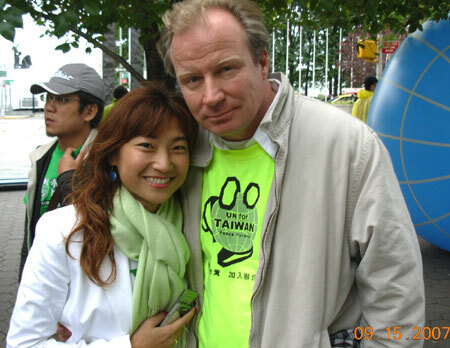 Dr. Gerrit van der Wees was born in The Hague, Netherlands, and is married to Taiwan-born Mei-chin Chen, whom he met at University of Washington/Seattle in the 1970s. In reaction to the “Kaohsiung Incident” of December 1979, when leaders of Taiwan’s fledgling democratic movement were categorically imprisoned, they started Taiwan Communiqué, a bi-monthly newsletter promoting human rights and democracy in Taiwan. 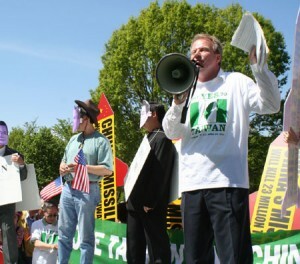 Gerrit also, with others, began early lobby efforts on the Hill for aid in releasing the arrested. That lobbying work led to the formation of FAPA in 1982. With Taiwan’s democratic progress in the 1980’s, Taiwan Communiqué shifted focus to Taiwan’s isolated international position, and advocated support for Taiwan’s UN membership. Gerrit van der Wees’ academic background is in Aerospace Engineering (MA, Delft University, The Netherlands 1971) and Technology Transfer (Ph.D. University of Washington, Seattle 1981). In 2005, Gerrit and his wife returned to Washington, DC to work for FAPA, after several years in The Netherlands. 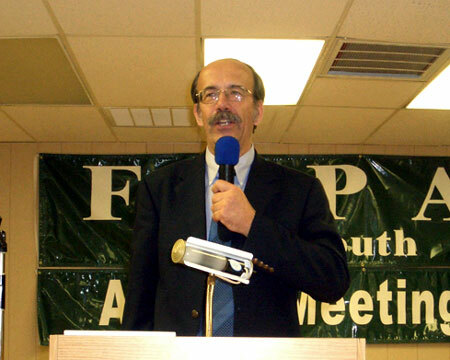 At FAPA, Gerrit maintains contacts within the US Senate, as well as political think-tanks and foreign embassies. Coen Blaauw is a native of the Netherlands. 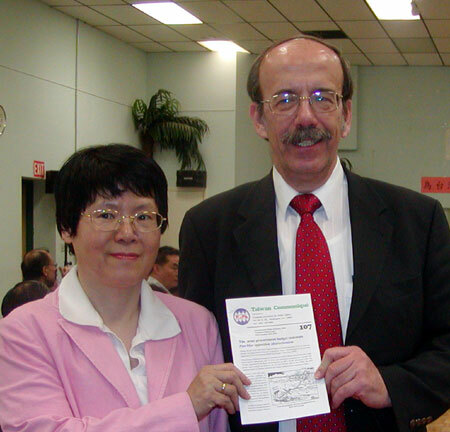 He has lived in the United States since January 1990 and has been with FAPA since. He has an international law degree from the University of Amsterdam. He wrote his thesis about the Dutch-Taiwanese submarine deal of 1981 and after that he got gradually involved in Taiwan affairs. His specialty is FAPA’s connections with the U.S. Congress; especially with the House of Representatives. Part of his work consists of coaching legislation from the beginning to the end. He drafts Taiwan related legislation, identifies introducers, recruits support for the bills and seeks to bring the legislation to the floor of Congress. He thus has built up a profound knowledge and expertise on how Washington works in general and on Capitol Hill in particular. He is married to Iris Yenching Ho and is thus a Taiwan Kiansai. AJ: What are your favorite Taiwanese snacks? GVDW: At a young age, I became addicted to peanuts. When my mother-in-law found out, she made sure that at every meal there was a big dish of peanuts, even at breakfast! CB: Whatever my in-laws surprise me with. And I have never met an oyster omelet I didn’t like. AJ: Let us in on the truth – what is your “top secret” of how you connect with your Taiwanese in-laws? GVDW: Although it was not easy to communicate due to the language barrier, I was always made to feel at home. I learned to survive by speaking the essential expressions related to food: “have you eaten”, “delicious”, and “I have eaten enough,” etc. CB: From the beginning I have always bonded in a major way with my grandparents-in-law (A-ma, and A-kong!) and once that was settled, the rest followed smoothly. AJ: What did you know about Taiwan as a child? Now that you know so much about Taiwan, what is your “60-second pitch” to describe Taiwan and your political position to someone who doesn’t know anything about it? GVDW: I grew up in Indonesia, so there was always a close connection with Asia, but it wasn’t until the 1970s in Seattle, that I found out about the real Dutch connection with Taiwan through books like George Kerr’s “Formosa Betrayed” and Prof. Peng Ming-min’s “A Taste of Freedom.” 60 second pitch: Taiwan used to be severely repressed under the KMT; in the 1980s and 1990s it made a remarkable transition to democracy; this new situation requires that we ditch the “One China” policy, and adopt a new policy which normalizes relations with Taiwan and supports Taiwan’s membership in the international community as a full and equal member. CB: I knew that Taiwan was the place where you could get cheap prescription eyeglasses. When I was a kid, my parents took us to Taiwan to spend a long hot summer with my aunt and uncle in Hsinchu. (My uncle worked at the time for the Dutch Philips electronics company in the Hsinchu Science Park.) And, during our first day trip to Taipei, me and all my brothers and sisters bought ourselves a pair of old-fashioned thick horn-rimmed glasses (making me look like Clark Kent for a couple of weeks!). All joking aside, Taiwan is a great country with vibrant energy (24 hour karaoke – something that never fails to make Hill staffers that have been to Taiwan laugh). And the way I see the people relentlessly trot on their path towards full independence demonstrates the Taiwanese people’s resilience and persistence. Their pursuit for values in sync with the values of full and free democracies greatly impresses me. GVDW: In the 70s, when I was doing graduate work in aerospace engineering at UW/Seattle. I was also active in Amnesty International, and with my wife Mei-chin started to apply the methods we learned in Amnesty to Taiwan’s human rights situation. This really took off in 1980, after the Kaohsiung Incident, when we started to publish Taiwan Communiqué (www.taiwandc.org/twcom). CB: During the Legislative Yuan election campaign of 1995, I spent a week in Chiayi campaigning. The night before election day, when both candidates’ camps were parading up and down main street with fireworks, music, bells, drums and gongs, I (being the tallest) was in charge of carrying the yellow banner with red flames on the edges at the head of the procession. The huge big Hanji character on the flag read “WAR!” When the parade started it felt as if I was in hell; two hours later, when the parade was about to come to a screeching halt, it felt like heaven. I had never felt that close to the people of Taiwan before. AJ: What is the most inspiring moment of your Taiwan career that you wish to share with the Taiwanese American second generation? GVDW: The election of President Chen Shui-bian in March 2000 was really an electrifying moment: we had worked for democracy in Taiwan for more than 20 years, and finally — and very unexpectedly — he won, completing the transition to democracy. CB: The most defining moment in my career will be the moment Taiwan declares de jure independence. I am still waiting for that moment and am growing rather impatient. Audrey Jean is a Taiwanese American living in the Washington, DC area. She is an olden days TAC goer, former ITASA Conference Host and National Director, one-time DPP intern, and frequent Taiwan visitor. By day, she is a corporate attorney for a large corporation. By night, she is the personal cultural ambassador to her husband, another Taiwan Son-in-Law, whose answers to the multi-choice question above would have be “(a), (b) and (c).” Yes, she’s working on it.